Boeing has conducted wind tunnel testing of a 30 percent scale model of an AH-64E Block II compound helicopter, which the company believes it could field by 2028 to serve as a gap filler in a U.S. Army Future Vertical Lift (FVL) program. 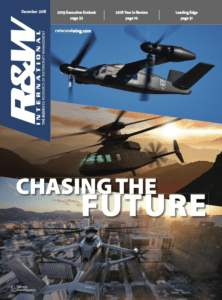 "Boeing seeks to provide an affordable means to keep the current U.S. Army medium attack helicopter, the AH-64 Apache, capable on the highly complex multi-domain battlefield of the future through 2060," the company said in written response to questions from Rotor & Wing International. "Boeing’s objective is to offer and field new technologies which make up the advanced Apache in the late 2028 timeframe." The AH-64E production line is set to end in 2026. Unveiled last October at the Vertical Flight Society's Helicopter Military Operations Technology (HELMOT) conference in Hampton Roads, Virginia, the AH-64E Block II compound helicopter would feature a wing and a rear propulsor, increase aircraft speed to 185 kts, increase payload to 5,900 pounds hover-out of ground effect (HOGE) on takeoff, and increase range to 460 nm. At the HELMOT conference in Philadelphia this May, Boeing is to present its drag computation and validation of the compound helicopter and an overview of the wind tunnel testing. 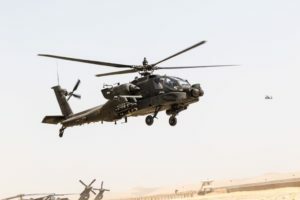 Boeing said that it is working with the Apache program office and the Army Training and Doctrine Command capability manager "to understand future requirements." 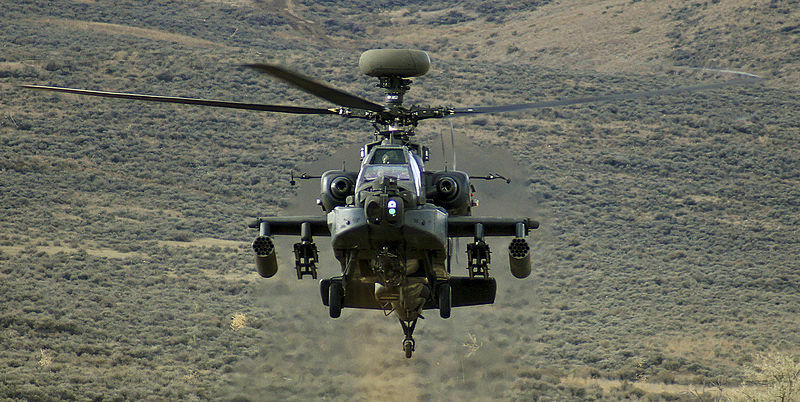 "The U.S. Army has committed no funding to the advanced Apache but continues to follow the Boeing IRAD (internal research and development) program," according to the company's written response to R&WI. The Future Attack Reconnaissance Aircraft (FARA) — FVL Capability Set 1 — is the farthest along in the Army acquisition process. The Army kicked off the FARA competition last October — a solicitation that lays out a four-phase competitive prototyping effort that should yield operational, experimental aircraft flying by November 2022. FARA is to replace the AH-64 Apache gunships currently filling in for the retired OH-58D Kiowa Warrior on scout reconnaissance duty in the Army’s 11 heavy attack recon squadrons. 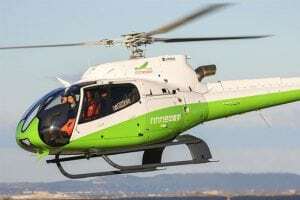 For FARA, Airbus said that it is offering a concept based on the company's Rapid and Cost-Effective Rotorcraft (RACER) that should fly 50 percent faster than a traditional helicopter while burning 25 percent less fuel. Sikorsky is likely offering its S-97 Raider or some variant of the compound helicopter, while Bell's offering is likely one based on its V-280 advanced tiltrotor. A joint proposal from L3 and AVX Aircraft is also under wraps. In addition, MD Helicopters is developing "Swift,” a new, all-composite, winged version of its 969 twin-engine attack aircraft. 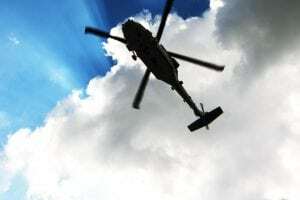 The company said that “Swift” will use MD’s no-tail-rotor (NOTAR) technology and will fly at up to 200 knots, which is within the Army's desired capability range for FARA. 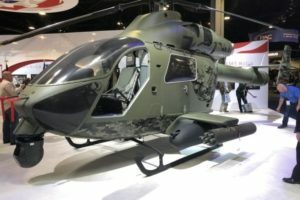 The AH-64E Block II compound helicopter "is an intriguing idea, and if they keep development costs low and commonality with the current AH-64E high, they might succeed," said Richard Aboulafia, vice president of analysis at the Teal Group. 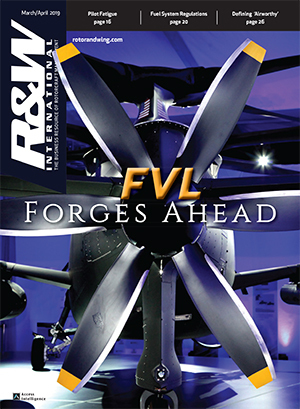 "But the problem is that of all the FVL cape sets, FARA is the furthest along. That means a scout/attack model might come first, perhaps as early as service entrance around 2030. If that happens, this Boeing proposal won't have a very big window, and the Army might decide to stick with the current model. Still, this is an interesting concept, and this architecture has been tested for many years, giving it a relatively high level of maturity." Last October, in a visit to Boeing's Mesa, Arizona, Apache plant, Shane Openshaw, Boeing's director of Apache programs — a former Army Apache and Black Hawk pilot — told R&WI that "even using the most aggressive plan they have to replace that fleet with something of the Future Vertical Lift family, there will have to be another evolution of some sort to keep the [AH-64E] aircraft sustainable, ready and relevant to support the warfight out to that time frame." 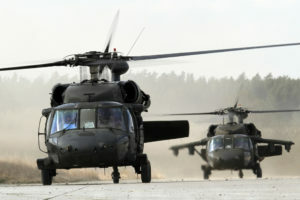 Can the Army maintain military superiority at a lower cost to taxpayers through upgrading its fleet of Black Hawks, Apaches and Chinooks, or will the military service need a new start FVL program? "That’s the big question," Aboulafia said. "But of course there are different cape sets. It seems prudent to do one at a time, to mitigate risk to the other categories. It sounds like the scout/light attack cape set will be first, but that puts a big question over whether medium and large transport recapitalization can wait until they are reinvented under a different FVL category." 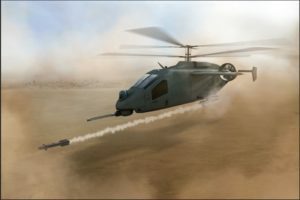 The Army has conducted an Analysis of Alternatives (AoA) on FVL Capability Set 3 — the future long-range assault aircraft (FLRAA) — by using the Black Hawk and various UH-60 upgrades, including the Improved Turbine Engine Program and main rotor and tail rotor enhancements, as a baseline, and Army leaders are scheduled to finalize the results of the AoA by this summer. The military service has not yet disclosed the results of the AoA, but service officials have said that they want to start the FLRAA competition this year. 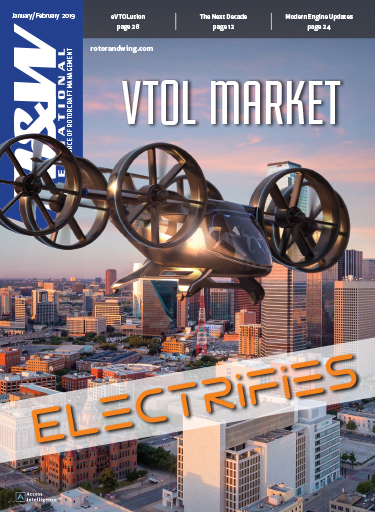 The Army has budgeted $4.7 billion over the next five years, including $800 million in fiscal 2020, for FVL, which includes FLRAA and the Future Tactical Unmanned Aerial System and FARA, both of which are in source selection.